Maya Becker’s research as a Summer Student Fellow at Woods Hole Oceanographic Institution (WHOI) gave her the confidence to change her entire academic path. When she arrived at WHOI in June, she had just completed her junior year at Columbia University, where she has been majoring in sustainable development with a concentration in earth science. After a summer immersed in the scientific community at WHOI, she decided to swap the two and pursue hard science. Working with senior research specialist Porter Hoagland in WHOI’s Marine Policy Center, Becker defined and measured the vulnerability and resilience of coastal communities to major storms. Using data from the Bureau of Economic Analysis, Becker and Hoagland examined per capita personal income in communities before and after a hurricane to see how the storm affected their economic health and whether the communities differed in their ability to financially bounce back. Although American coastal areas are hit by hurricanes almost every year, little was known about metropolitan vulnerability and resilience to these storms. Becker and Hoagland even had to define their essential terms. “In existing literature there isn’t really a consensus as to what ‘vulnerability’ or ‘resilience’ means, and they haven’t been defined in relation to coastal hazards,” Becker said. Ultimately, she and Hoagland defined vulnerability as a dip in economic development in the wake of a coastal storm, and resilience as a community’s ability to recover from that dip. Once Becker had concrete definitions, she began analyzing median per capita income data from four heavily-settled areas—Charleston, South Carolina; Cape Cod, Massachusetts; and Miami and Pensacola, Florida—that were affected by hurricanes Hugo, Bob, Andrew, and Opal, respectively. Those four storms occurred in the 1980s or 1990s. More recent storms were not examined because income data are not yet available for a long enough period of time to generate statistically significant results. Using statistical tests, Becker found that Charleston was vulnerable and resilient, suffering major negative effects on personal income but rebounding quickly. Cape Cod was vulnerable but not resilient, with effects lingering for several years after Hurricane Bob. Pensacola was not vulnerable—it had not suffered major negative economic impacts from Hurricane Hugo. Since it wasn’t vulnerable in that case, its resilience could not be determined. Becker’s analysis showed that Miami was not vulnerable either, a finding that puzzled her and Hoagland. They looked for possible reasons for that finding, without success. “We were not able to solve the Andrew mystery,” Becker said. Overall, though, the approach she developed was a good first step toward understanding how human communities fare in the wake of a natural disaster. Becker said she hopes her future work will get more into deeper detail about why some communities bounce back from disaster more quickly than others. “I want to understand the science behind what about a specific coastal community makes it resilient,” Becker said. For her senior thesis, she hopes to continue this project, bringing in more scientific data and bridging her two interests. After graduation next spring, she hopes to go right into graduate school, but is unsure of the specific area of science. Aside from academics, Becker serves as a copyeditor for the Columbia Daily Spectator, the university’s student-run paper. 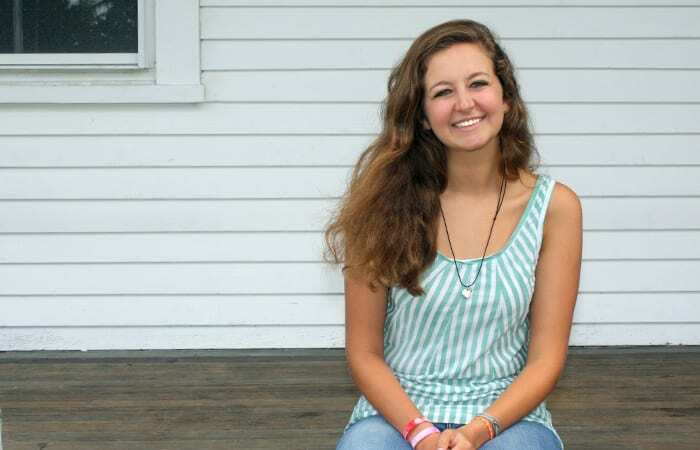 She is also a member of the university’s Design for America program and leads freshmen on hiking trips as part of the Outdoor Orientation Program. Becker and her research were supported by The Virginia Walker Smith Fund.